In my view Empy's is an outstanding auto service company. Their inspections and repairs on my vehicle have been very professional. Their integrity and reasonable cost of service is very much appreciated. Empey’s Truck and Auto Repair in Ammon, ID, is the trusted one-stop automotive shop for service and repairs serving all of Idaho Falls. Our shop offers repairs and maintenance for automobiles and light trucks, using quality parts and professionally trained ASE Master Certified technicians. We work on all makes and models of vehicles, specializing in Domestic, European, and Asian vehicles. Our shop uses only the best quality tools and technology including an alignment machine, computer diagnostic tools, and a tow truck available. At our Ammon auto shop, we are family owned and operated and have remained the top choice for auto repair and maintenance in the area since 1987. Our work is backed by a 3 year or 36,000 mile warranty on repairs - the longest warranty in town! We also offer our customers a free local shuttle service and loaner vehicles available for larger repairs. 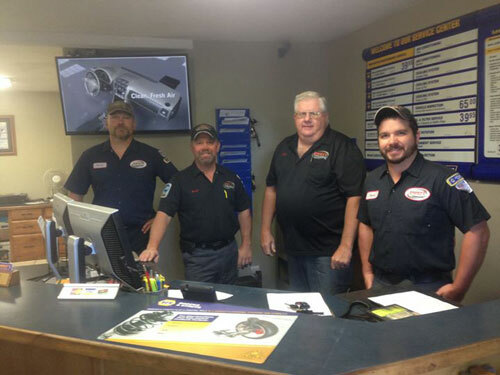 At Empey’s Truck and Auto Repair in Ammon, ID, you’ll receive friendly customer service, a fast turnaround, and completely transparent estimates and repairs. Our primary goal is to make sure that you are always taken care of at our shop and that your vehicle stays reliable on the road. If your vehicle needs a repair or maintenance or you have a question about your vehicle, don’t hesitate to stop by our shop or give us a call today! It's official, I have a blog and I know how to use it. I have finally decided to take the plunge and add a blog to my site. I always wanted an easy way to share information with visitors and I'm super excited to start this journey. Keep coming back to my site and check for updates right here on the blog.